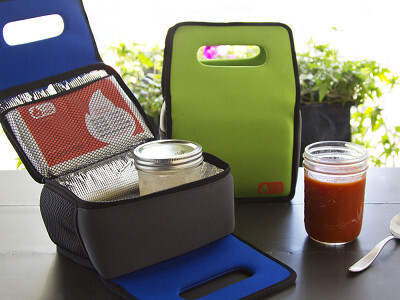 Ever wish you could bring a hot, home cooked meal to school or work with you? Stop wishing and start cooking. With Lava Lunch, you can keep food warm for up to six hours on the go. BPA-free, Phalate-free, and Non-Toxic, Lava Lunch is the resourceful invention of a mom who just wanted a way to pack her food-allergic son a safe, warm, and nutritious lunch for school each day. The bag itself is made of a proprietary, insulated neoprene-like material. But, the real feat of thermodynamics is in the Lava Rocks that you heat for two minutes in the microwave and place inside the box. Inspired by a NASA invention, Lava Rocks are an organic, plant-based material designed to absorb heat from your microwave and release stored energy as the contents of the bag begin to cool. Grilled chicken with sautéed vegetables, leftover lasagna, a gooey grilled cheese sandwich—if you can cook it, you can keep it hot with Lava Lunch. Is it lunchtime, yet? Hello from Lava Lunch. 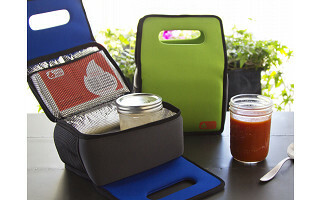 We're so excited to be partnering with our friends at The Grommet to feature our Lava Lunch box. Since launching this design it has had an amazing reaction and the popularity continues to grow every day. Our aim was always to try to encourage people to eat healthier by giving them a way to keep food warm, whilst giving people a convenient and stylish way to carry food on the go. Lava Lunch is the only tote on the market with the ability to keep food hot, and if cold food is the order of the day, simply remove the Lava Rocks. Lava Lunch is roughly twice as insulated as any other bag on the market, so your cold foods will likely keep better as well. I dare say, why would you need another? We hope you'll agree and give Lava Lunch a try. They are foldable. The handles fold flat against the main compartment, and the main body is easily compressed to a couple of inches in depth. This makes them quite easy to store. However, due to the added insulation, they do not fold completely flat. Can the Lava Rocks be heated in an oven? I do't use a microwave. Yes, the Lava Rocks can be heated in a traditional oven as well. What a great question! Yes, they can be heated in a traditional oven as well. Must all things in the bag be heated? How do you keep cool drinks or fruit cool? Ever wish you could bring a hot, home cooked meal to school or work with you? Stop wishing and start cooking. With Lava Lunch, you can keep food warm for up to six hours on the go. 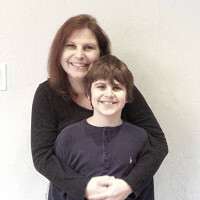 BPA-free, Phalate-free, and Non-Toxic, Lava Lunch is the resourceful invention of a mom who just wanted a way to pack her food-allergic son a safe, warm, and nutritious lunch for school each day. The bag itself is made of a proprietary, insulated neoprene-like material. But, the real feat of thermodynamics is in the Lava Rocks that you heat for two minutes in the microwave and place inside the box. Inspired by a NASA invention, Lava Rocks are an organic, plant-based material designed to absorb heat from your microwave and release stored energy as the contents of the bag begin to cool. Grilled chicken with sautéed vegetables, leftover lasagna, a gooey grilled cheese sandwich—if you can cook it, you can keep it hot with Lava Lunch.